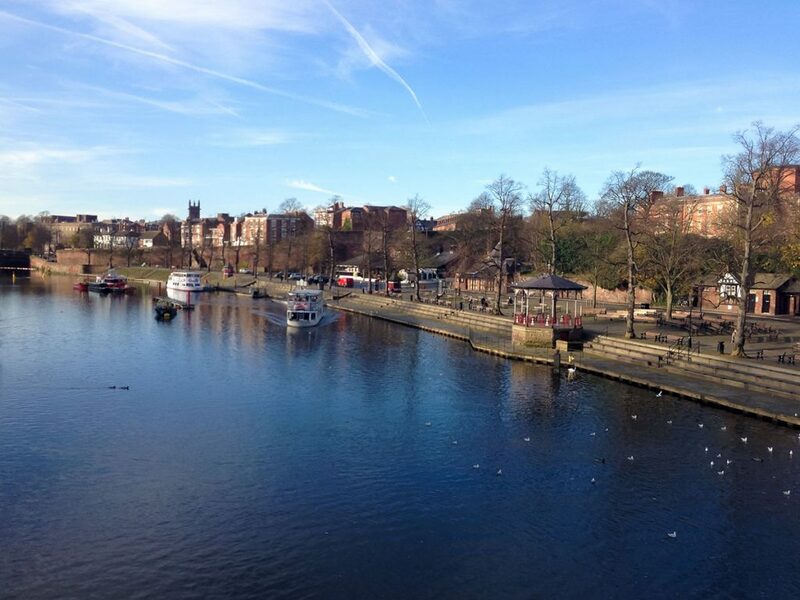 Looking for somewhere to walk in Chester? Here are a few of our favourites routes and areas to spend some outdoor time this autumn. Who doesn’t love getting some fresh air and enjoying everything their surroundings have to offer? So often, we revel in long walks when we’re on holiday. But unfortunately, we sometimes forget to enjoy this beautiful pastime at home! If you live in Chester or the nearby areas (or you’re thinking about making the move! ), this one’s for you. We’ve rounded up some lovely walking spots for you and your family to explore. As we’re all well aware, Chester is right on the Welsh border and very much embraces this fact. Take advantage of this with a dedicated stroll from Chester right into Wales, crossing over the border as you go. Start from the city centre, near the racecourse. You can actually park at the Little Roodee car park (Grovesnor Road) for three hours by paying £4. The walk will take you along the River Dee and back again – find the exact route here on Cheshire Life. If you’ve got a dog or kids, this is the perfect short walk for you and your family. Start in the city centre from one of the entrances to Grovensor Park, either off Vicar’s Lane or Grovesnor Park Road. Wander around the green park, enjoying the play area or the miniature train with the kids, and you’ll eventually end up on the other side – opposite the River Dee. You can then continue your stroll down the River Dee, stopping off for a drink in the Boathouse or for an ice cream at one of the many stalls. Possible our favourite place to walk in Chester! 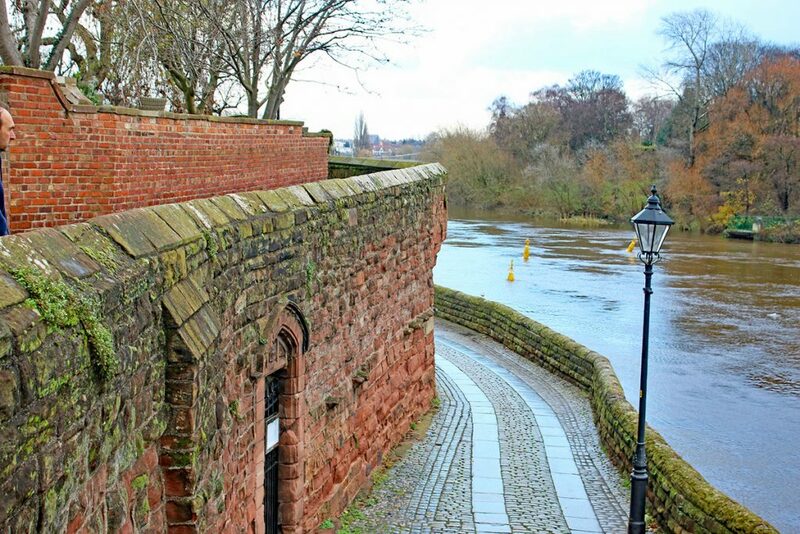 Who hasn’t heard of Chester’s iconic City Walls? Now’s your chance to really explore them. If you’ve not yet walked around the walls in their entirety, it’s worth knowing that the route is around 2 miles long. That’s a pretty good distance to get a few steps in! And all the while, you can enjoy some of the legendary sights and landmarks of our beautiful medieval city. All for free. For a spot of fresh country air on the doorstep of the city, head to the Countess of Chester Country Park. There’s plenty of wildlife to discover, such as kestrels, swallows and beautiful butterflies. It’s not just for the kids but older couples will love this walk, too. Start from the hospital car park and turn right at the wetlands, exploring the park as you go. You’ll be able to walk all around the park and then head back to either the hospital car park or end up at the Little Owl pub for a well-deserved drink and some good grub. We know what we’d choose… Check out this fun map from the Land Trust. For a nice, easy walk through a small area of woodland and meadow, look no further than Caldy Valley. The Nature Park is located just off Caldy Valley Road in Great Boughton, so you’re a little further out of the city. There’s a car park, a handy circular route and plenty of beautiful wildflowers to enjoy! This really is a hidden gem and is worth uncovering if you find yourself stuck for something to do at a weekend. Head further out from Chester, for roughly fifteen minutes, and you’ll end up in Waverton where the exciting Crock Trail is based. This is a fun adventure walk, aimed at children. But all the family can enjoy it! You can easily enjoy a whole morning here with the kids and there are even food outlets for a spot of lunch afterwards. With challenges and slides along the way, there won’t be a moment of boredom or ‘can we go home yet’ here. Oh, and there’s a free car park, too. Why not? With snowfall this winter getting ever closer, there couldn’t be a better time to make the most of some milder weather and explore your nearby park, route or woodland. Let us know what you get up to on Facebook or Twitter!